Kaito was just waiting around the training area and fidddling with his sword while waiting for the Genin, he was supposed to train on Takashis orders. ""*sigh* where is the kid Takashi said I had to train....*yawn* I came here hoping to spare with another swordsman but it looks like he aint showing up..."
Cloud cleared his throat as he dropped down from a branch in a tree. "I've kind of been here for an hour. I had stayed in the tree to see if you would notice me" He looked away kind of embarrassed that the guy who was suppose to be training him was nothing like Takashi was at all. Takashi would have noticed him there before he even got onto the field and would have most likely went to sleep just to see how long it would take for him to be woken up. Cloud thought to himself "This guy is a Chunin after all, maybe only Jonin's are that good." He then smiled and laughed as he thought this guy was just playing around with him. A Chunin would at least have the necessary skill to notice a regular Genin, especially from him own village! "Shall we begin?" Kaito wasnt that surprised he did sense him, notice him awhile ago but wanted to see when he would come down or if he was planning a sneak attack "this is training not a real battle...but its good that you hid in the trees, just dont make too much noise next time, an enemy would have heard you a mile away, but enough of that for now lets get started with your training." Kaito properly grabbed his sword and pointed it at Cloud "So Takashi tells me you need training with your weapon correct?" "Actually wasn't hiding, just sitting there......but if you want to go with that then yes I was." Cloud watched the guy swing around his weird looking sword. after listening he looked at the guy with a shocked look. "Weapons? You mean like kunais and shuriken?" Kaito set his sword down and started to think out loud "Hmmm...damn that Takashi he wasn't specific with what he need training in! Graaah!!!.... *sigh*" Kaito looks at Cloud "Well first things first, let me introduce myself my name is Kaito Kyoshi and whats your name?" Cloud looked at the guy up and down as he introduced himself. He wasn't really that impressed by him. "Cloud, Cloud Kuroiarashi" He put his arms behind his head and leaned up against a tree. "So, Kaito, how do you know Takashi?" Kaito got his sword and put back behind his back "well me and Takashi go on a lot of missions together, surprisingly we make a good team me and him,and even though he's lazy at times, we still make good partners...so what kinda jutsu do you use?" "Lazy? That's the first time I've heard of this. Anyhow my chakra nature is lightning. Is that what we are about to work on?" "Hmmm lightning nature...alright sure lets try out your Jutsu then, I mainly use my sword but itll be good to work on my jutsu as well"
"WAIT!!!! You're going to use a sword on me?!?!? How is that any where close to fair? Are trying to kill me?!" Cloud took a few steps away from Kaito. He wasn't trying to get killed, especially after just becoming a Genin! His mother would probably lose her mind! Kaito just looks at him with a blank face "Ummm...no...if I did then you would be slowed down until you couldn't move anymore...its not permanent though so dont worry hahaha, but no seriously i wont use my blade" Kaito gets his blade and sets it against a tree "Now then lets begin, you make the first move Cloud"
Cloud sighed with relief as he prepared himself. "Ok let's go!" Cloud rushed forward at Kaito and jumped at him with a strong kick. Kaito easily ducked Clouds jump kick and grabbed his leg "Your to forward with your attacks in a real fight against an enemy this could be a fatal mistake that could lead to the death of you and your team" Kaito then twirled him around and threw him back towards a tree. Hitting the tree, Cloud pushed off gaining an extra speed boost towards Kaito. He forced himself to get low towards the ground right before he smashed his hands down and pushed himself up over Kaito. He performed a few hand signs as lightning started to come off of his body. 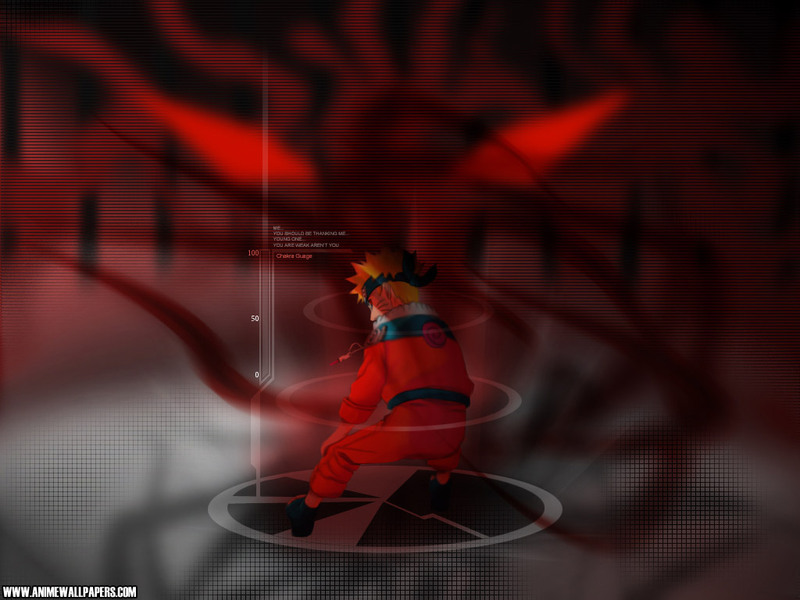 He begun manipulating lightning chakra into his hand, making the lightning expand to create the form of a hound. "Lightning Beast Running Technique!!" He sent the attack soaring straight down at Kaito with a small smirk on his face. Kaito saw the lightning hound heading straight for him, but he wasnt fazed by it at all. Kaito easily jumped back dodging the hound and went up a nearby tree with great speed. "All right I think its time I used my jutsu now. Kaito preformed a few hand sign and then his chakra started to turn into a large amount of water above him and started to take the shape of a monstrous sized dragon. "Water Style:Strong Current Torrential Rain Jutsu! Kaito motioned the dragon to go after Cloud, and not a moment too soon the hulking water dragon went after Cloud with great speed and mouth wide open. Cloud was still in midair as the Water Dragon came for him. His eyes widened with fear as he managed to blurt out a sentence before being hit. "I hate being a Geni-!!!" He crashed through several trees and finally was tossed to the ground like a rag doll. He laid there with a dazed look upon his face. He twitched a little bit as he tried to regain his composure. Kaito jumped down the tree and chuckled a bit but with an impressed look on his face "I gotta say, you did pretty there. I wasnt expecting you to bring out that 1000 volt dog above me. If I hadnt kept my composure I would been fried Kaito" Kaito laughed and made his way to Cloud and held a hand out to help him up,"need a hand?" Cloud reached and grabbed Kaito's hand with a smirk. He quick took this opportunity to attack Kaito. He threw him into the air and launched him self after him. He fashioned hand signs as fast he could: Ram → Horse → Snake → Tiger! "Raigen Raikōchū!!" A blinding light would emit from Cloud as he performed more hand signs: Dragon → Rat → Ox → Tiger → Monkey → Dragon! Lightning surged around his palms as he pulled them apart. "Raiton: Dendō Pāmu!!!!!" With a strong thrust, he aimed them at Kaito's torso. The jutsu he performed before should have blinded Kaito so the attack should land. If it didn't, this training session was about to get really difficult. While in the air he was flashed by a bright light "Urgh the heck man! turn down the lights!" He was blinded for a moment but soon his vision was starting to come back slowly but his vision was still a bit blurry. He managed to make out a bright light coming from below him "Crap this might end badly for me!" Kaito preforms some quiickly hand seals and aims down below him. "Suiton! Suigandan no Jutsu! (Water Style: water fang Bullet Jutsu!) Kaitos mouth filled wih water and then shot a flurrry of small spherical projectiles at Cloud, though since he was still a little blinded by the flash of ligh he couldnt really tell where to shoot exactly. Cloud was already too close to Kaito as the Water User as he slightly struck him with his Electric Palm jutsu. Not as soon as he hit Kaito, Cloud was pelleted by the water bullets. He was too close to be able to dodge any of them so he just had to take the punishment for it. He went falling to the ground and slammed into it with a loud thud! He raised himself up a little bit "Ow...that hurt, but at least I hit him too." He smiled at his accomplishment andlaid back down. He was trying to catch his breath, having the wind knocked out of him. Kaito managed to hit successfully hit Cloud with his jutsu but juts the same Cloud hit too. Kaitos body lit up like a light bulb as the lightning surged across hit body. But unfortunately for Cloud, there was a puff of smoke and soon Kaitos body was replaced by a log. He had substituted long before his jutsu connected. Kaito come out from behind a tree and looked at Cloud gasping for air, He just scratched his head a little as he saw Cloud laying down. "Hmmm....If you keep this up your gonna run out of chakra, why don't we take a break?....or would you like to continue?" Kaito laughed a bit and smiled "though you can get yourself up this time, since I don't want to be fling into the air again. I mean really now, that was too close of a call, if I hadnt used a substitution that would have seriously hurt" Kaito sighed a bit. Cloud sat up and looked at Kaito with a shocked look on his face. He just used his chakra for nothing and on a water clone! He wrinkled his nose as he looked pretty mad at Kaito he got up and dusted himself off as he clapped his hands together. Boar → Ram → Snake → Horse → Dragon!! Lighting surged around his hands as Cloud gave his all. "Raiton: Jibashi!!" Lightning surged and crept across the ground dashing straight for Kaito in every direction. It tore up the earth as it did so, the intensity in Cloud's eyes shown. Kaito saw Cloud weaving hand seals and knrw it wasnt good and started running towards a tree. As soo as he started running he saw what looked like lighting chasing after him, and it was tearing through the earth itself. Kaito kep running but started to weave alot of hand seals together while running. The lightning was almost at his feet when he jumped up a tree and started to go up it. But as soon as he did the trees base was destroyed by the lightning. Kaito was still weaving his hand seals,while the tree was falling, and after a long time weaving hand seals the jutsu was finally ready. Suiton: Suiryuudan no jutsu! Water Style: Water Dragon jutsu!. The ground was litered with water from Kaitos various jutsu, which allowed him to perfom this jutsu. Agiant water dragon arose from all the water on the field, but it wasnt the same as the other one, it was at least 2 times bigger than the other water dragon. And this one seemed more ferocious. "i think ill end our training with this since im almost out of chakra as well" said Kaito panting a little bit, because this jutsu took alot out of him. The giant water dragon was charging at Cloud, and had its mout wide open. The giant dragon leveled some trees and was destroying the earth as it moved towards Cloud. Cloud's eyes widen some more as the Raging water dragon rushed his way. He was out of chakra and this was too fast for him to dodge. All he could do was stand there and get hit by the dragon and let this training session be over. The giant water dragon closed in on Cloud, and its mouth wide open. The shadow of the huge beast reind over Cloud and in one single second the dragon swallowed Cloud and slamned him into the ground. The force was so strong the it left a huge crater where Cloud was. Kaito was on the floor panting heavily "*pant* *pant* jeez......i didnt think I would have to use my strongest jutsu on him......that really took alot out of me....*pant*" Kaito got up and went to the crater where Cloud was "You done yet?...Cause I can go another round if you want?" Kaito had a serious look on his face because twice he had been fooled by him and didnt intend to fall for it again or he will get his sword and go all out.